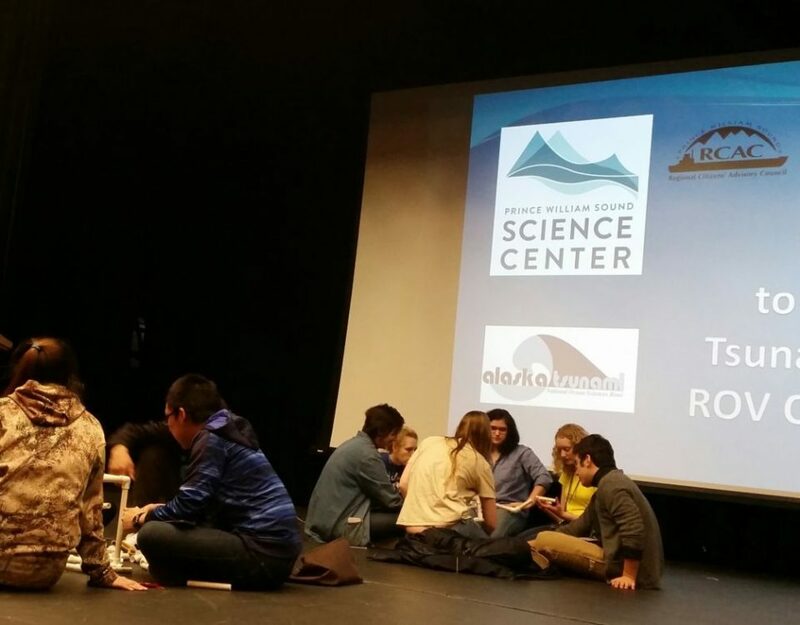 The 17th annual Alaska Tsunami Ocean Sciences Bowl was held February 28–March 2. 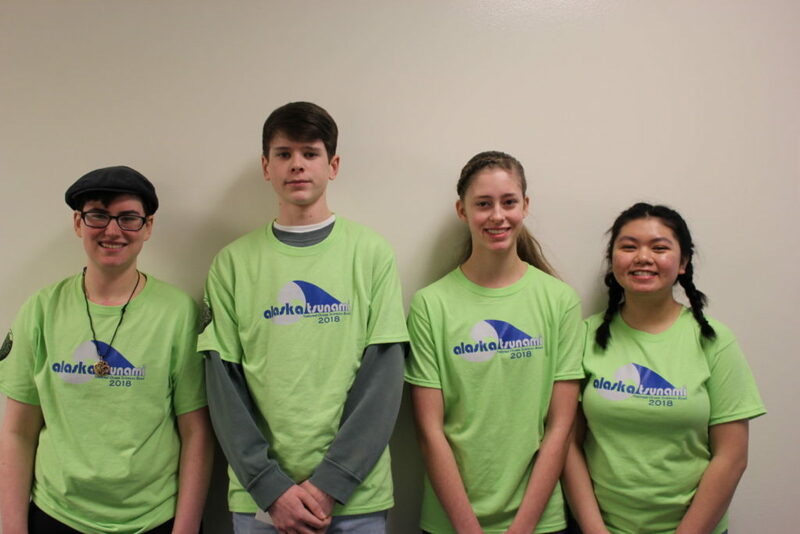 The Pugnacious Dawgsharks from Cordova traveled to Seward to compete against 17 other teams from around Alaska. 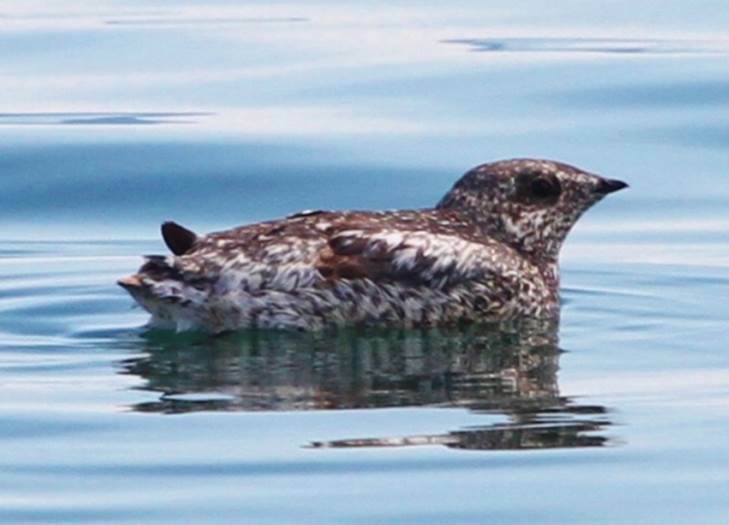 Sarah Hoepfner, Lindsay Hammer, Elaina Allen and Katie Bailer wrote a research paper and gave an oral presentation titled: Bilge Dumping in Prince William Sound—Small Vessels, Big Impacts. They also participated in the quiz bowl. These two and three year veterans of the event placed 11th overall. 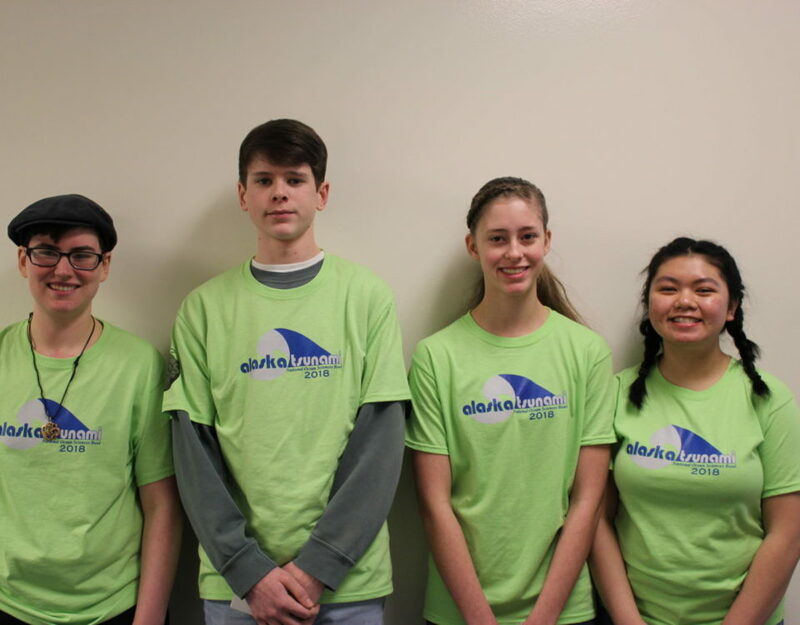 Ocean Fusion, consisting of team members from Cordova, Dillingham and Petersburg only participated in the quiz bowl and placed 13th overall. Cordova students Cody Howard, Sam Johnson and Patrick Batista were part of this team. High school students at the Tsunami Bowl ROV Challenge piloting their ROV. 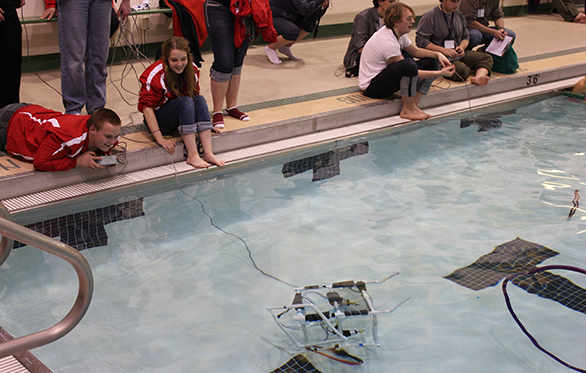 During the event, Science Center educators organized an optional ROV Challenge. Ten teams were given an hour and a half to design and build an ROV and accomplish a series of tasks. Students had to drive their ROV through hula hoops, pick up a neutrally buoyant ring and place it on an underwater hook, scoop up a beach ball and bring it poolside, and hover in front of a target. All these tasks simulate oil spill cleanup efforts using ROVs. Teams were judged by how well they completed the tasks and worked together as a team. First, second and third place went to the teams from Homer, Dillingham and Petersburg. The ROV Challenge was sponsored by the Prince William Sound Regional Citizens’ Advisory Council. A special thanks to the Cordova students who volunteers their time for the ROV Challenge!